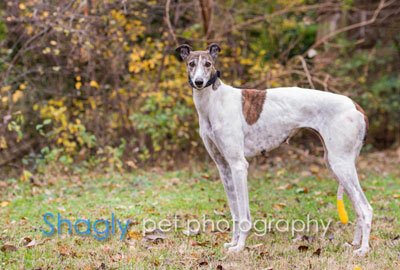 Brassy, aka Braska Mauve, is a 5.5-year-old white and brindle female born February 19, 2013. 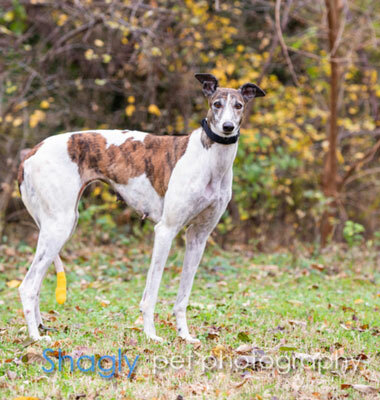 Her sire is Soprano Drive and her dam is Braska Notion. Brassy has 114 races on record from 2014 to 2017 in Florida and Arkansas. She has not yet been tested with cats or small dogs.